$10 No Deposit Bonus for Your STP Trading Account, $10 Forex No Deposit Bonus Promotion is available only for our new Clients who open STP Account. 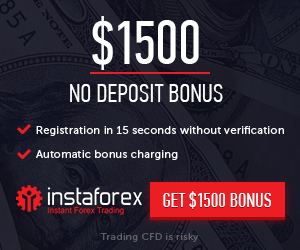 Bonus offer: $10 Forex No Deposit Bonus Promotion is available only for our new Clients who open STP Account. Open an STP trading account. We will add the bonus automatically to the first STP account that you open. You can use the bonus for live trading and withdraw the profit received when the trading volume exceeds 2 lots. All closed trades are counted – both losing and profitable.